Doc, a Harlequin Great Dane, towered over me from the rear of a ’94 Defender 90. He looked like all the 101 Dalmatians rolled into one. 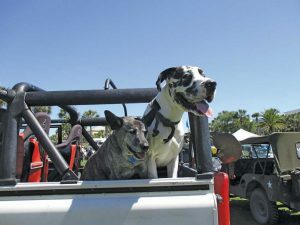 Beside him sat Cammo, with his “coat of many breeds,” who seemed quite happy to let Doc lord over the ring of Land Rovers at the 30-A Sand Rover Rally. Owners Chance and Julie Gibson, Santa Rosa Beach, FL, assured me both dogs had been well-fed and harbored no ill will. The Florida Panhandle’s Walton County includes some organized municipalities along with a host of unincorporated coastal villages from Miramar Beach in the west to Inlet Beach to the east side. They’re connected by a two-lane waterfront road, FL Route 30-A, and a wide strip of impossibly soft, white sand. Tucked in the middle is Santa Rosa Beach, the gathering spot for the nearly 100 “beach cruisers” that showed up for the 4th 30-A Sand Rover Rally last April. 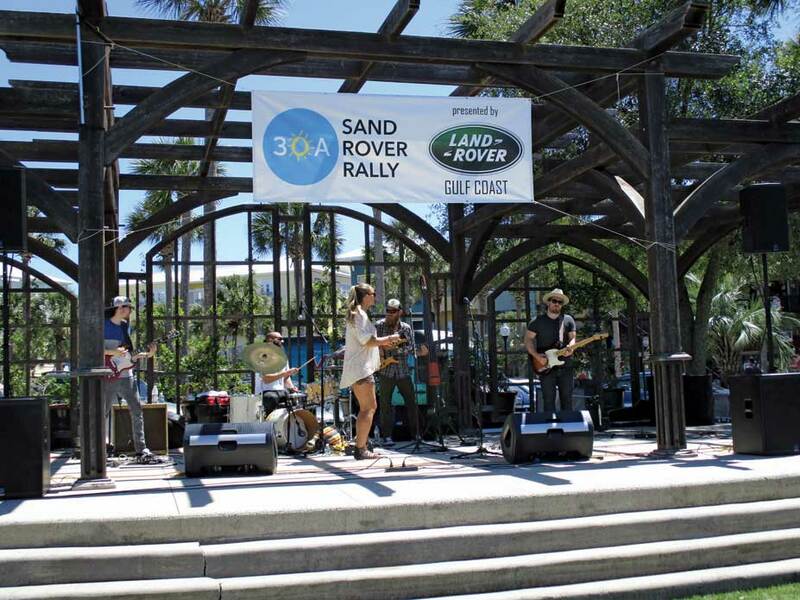 The morning off-roading and the afternoon show-and-tell on a grassy courtyard, supplemented by the local band Industry and surrounded by a host of restaurants, made frowning, whining or complaining impossible. Floridians and Alabamans pronounced the weather “chilly,” a patently absurd designation to someone arriving from Maine’s frosty weather. 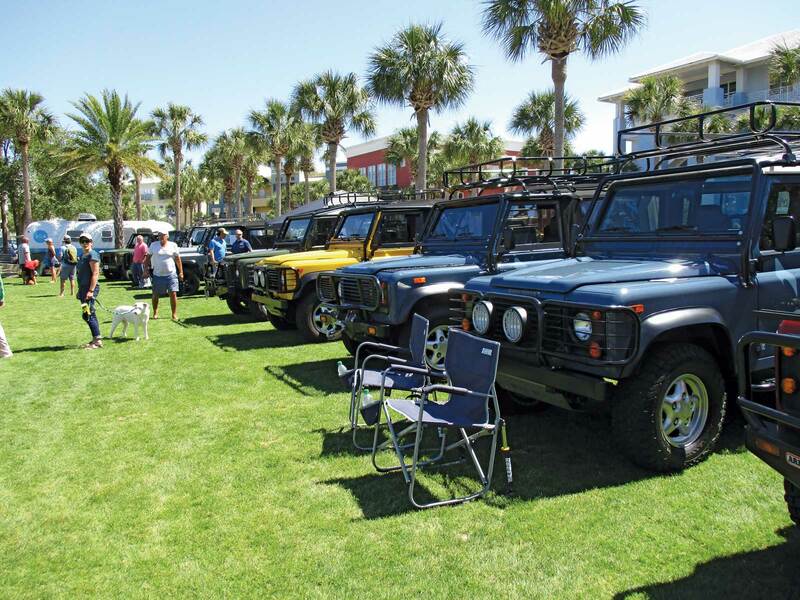 Land Rover events attract the most interesting people, and the warm gulf waters, gentle breezes, palm trees and bright green grass combined to mellow and excite them simultaneously. 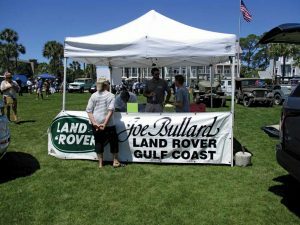 This became evident in the eclectic group of Gulf Coast enthusiasts, ranging from Mississippi to Georgia, who contributed to this year’s event. 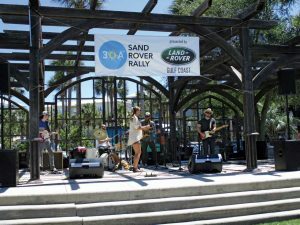 Mike Ragsdale, the event organizer and 30-A ambassador, embodies the positive beach vibe that’s become the hallmark of this popular April event. 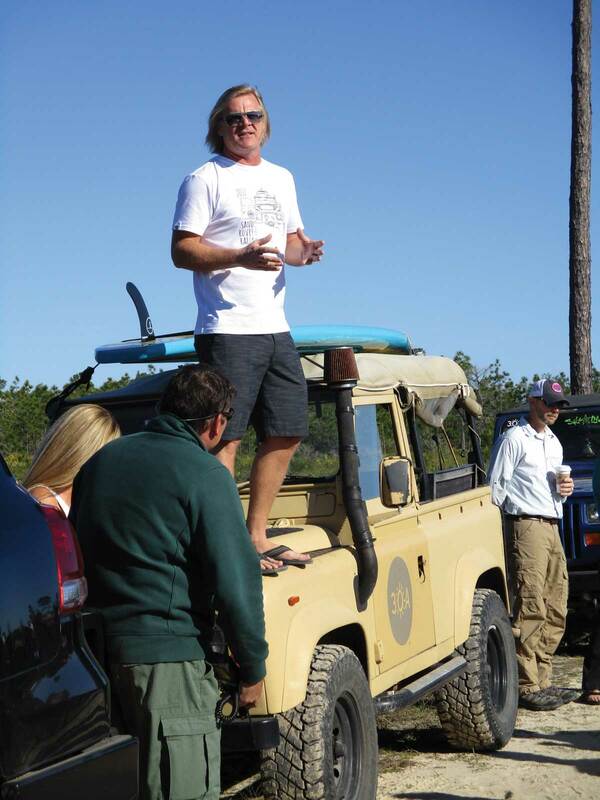 His ’86 Land Rover 90 diesel, named “Truman”, received a steady stream of waves, admiring glances, and envious stares throughout the weekend. Since there’s no requirement to register for the event, Mike had no idea of the potential attendance. If throwing a mini-Spring Break for hundreds of enthusiasts who show up at the last minute troubled him, it did not show. On a Saturday morning, Mike gave me a ride to the off-road site, along with his friend, Janae Grice. 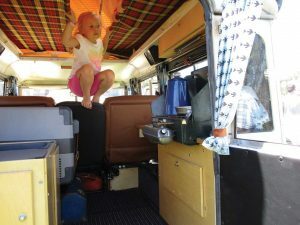 We arrived to find dozens of Land Rovers, and a sprinkling of other marques, filled with adults and children ready to enjoy the sand and scrub pine beauty of the Point Washington State Park. The park rangers battle the dangers caused by rooster-tailing Yahoos, untended campfires and “forge my own trail” nitwits, and from the tone of our ranger’s presentation, they’re tiring of the battle. He made it clear that “treading lightly” and “remaining on the existing trails” would be monitored and enforced, and that future access would depend on our behavior. Dominic and Eric wanted to check out the “primitive campsites” for next year’s rally so we followed the trails signs to them. 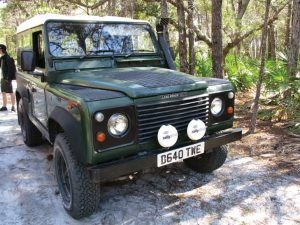 We came across the Land Rover 90 of Airman Shane Day, stationed at nearby Eglin Air Force Base. He shared the back story of his Land Rovers, purchased in the UK and brought back to the US at the end of his posting. He’s owned his for about a year, and when I asked if he’d encountered any problems, he hesitated and said, “No, but this weekend…” Shane noted that his 2.5 turbo-diesel would not start one morning, so he purchased a new battery. Not long after, his battery went flat. He had jump-started it and all seemed well, but he was concerned about the potential problem. No one had a test light, but Dominic did have a a multi-meter. Shane started the Land Rover, which fired right up, but the multimeter did not change its reading. The connections looked good, the wiring was flexible and the battery terminals had been properly wire-brushed. That implied the alternator might be faulty, so on that Saturday morning, from the Florida woods, I called Rovers North. Zack Griswold confirmed an alternator and adapter plug were available and Shane compete the transaction. Shane also noted that his left side taillight would not work; that proved out to be a faulty ground, which we fixed in the field. On the way out of the park, Dominic and Eric could not resist tackling a major sand mound; it also provided the chance to show off the Range Rover’s prowess to the owners of other marques, most notably a very rare Nissan Patrol. Flushed with success, we drove back to the Santa Rosa Beach grounds to enjoy the sights of 75 vehicles, mostly Land Rovers. 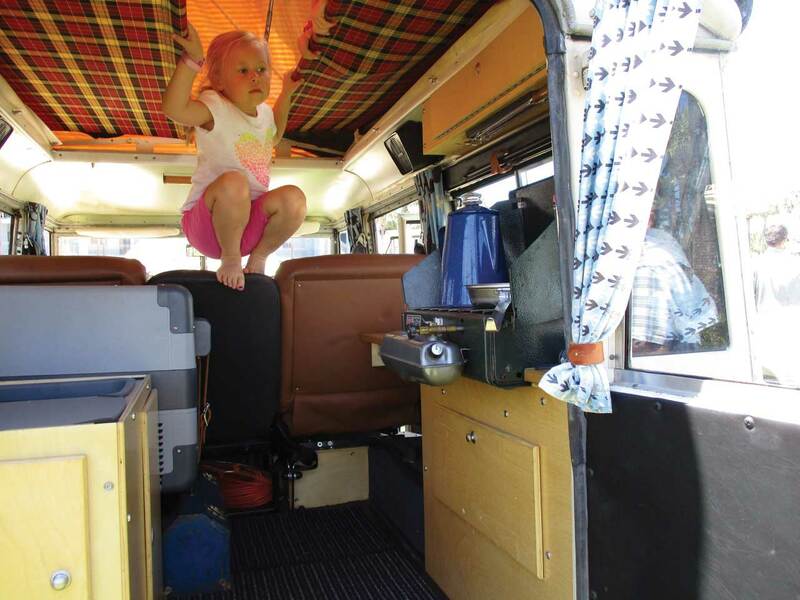 Larry Anderley, Navarre, FL, found a Dormobile in Germany with a 2.6 L six-cylinder engine two years ago. It came in “as is,” complete with a German radio and clock. Its striped pop up top added a festive air to the proceedings. Todd and Kristie Sharp, Atlanta, GA, drove down in their Land Rover 110 with a unique Mulgo camper pop up top. Todd, who works at Land Rover specialist, The Shop, notes that the Australian camper conversion has significant structural strength; “You can walk on it.” There’s no such thing as an uninteresting Defender, and the very original AA Yellow ’95 Defender 90 of Allen French, Destin, FL, certainly caught my eye. Even more delightful is the fact that French is the original owner, too. 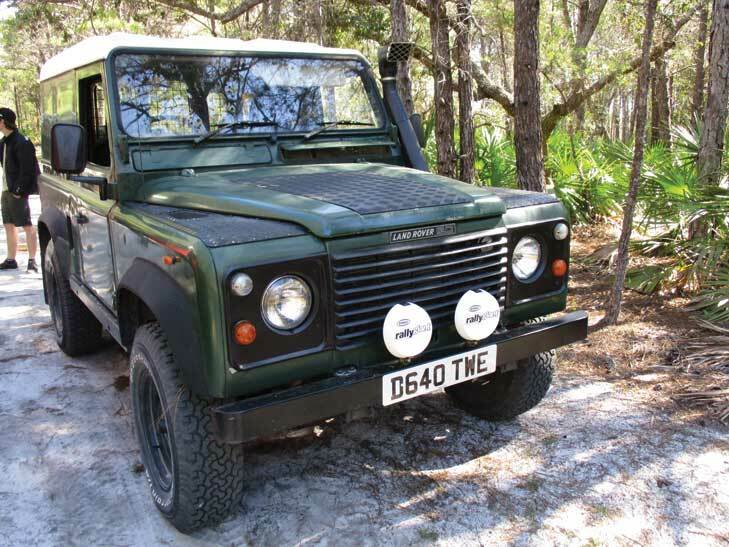 Chance and Julie Gibson’s ’94 Defender 90 benefited from the installation of 4.8 L engine, an Ashcroft transmission and upgraded differentials and driveshafts. 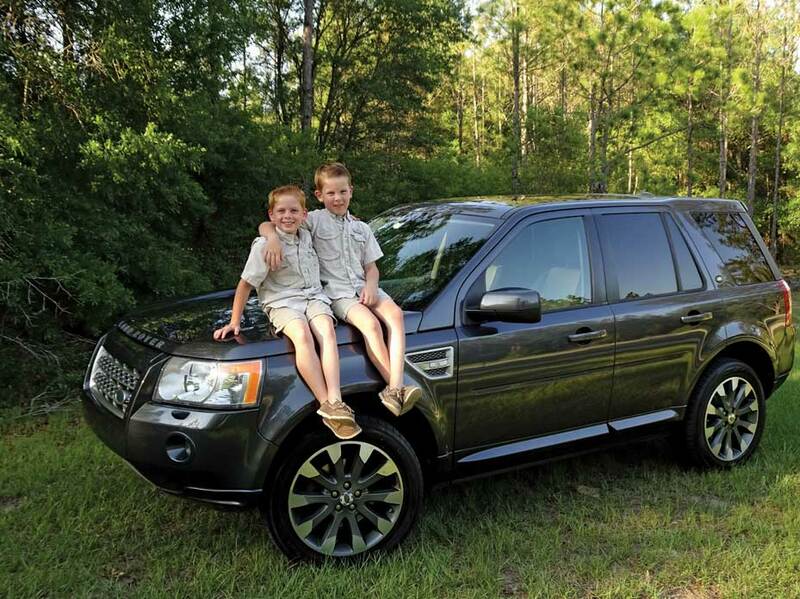 Charles Bell, Jr., Mobile, AL the founder of the Gulf Coast Land Rover Club, brought his two sons who clearly enjoyed the off-roading. 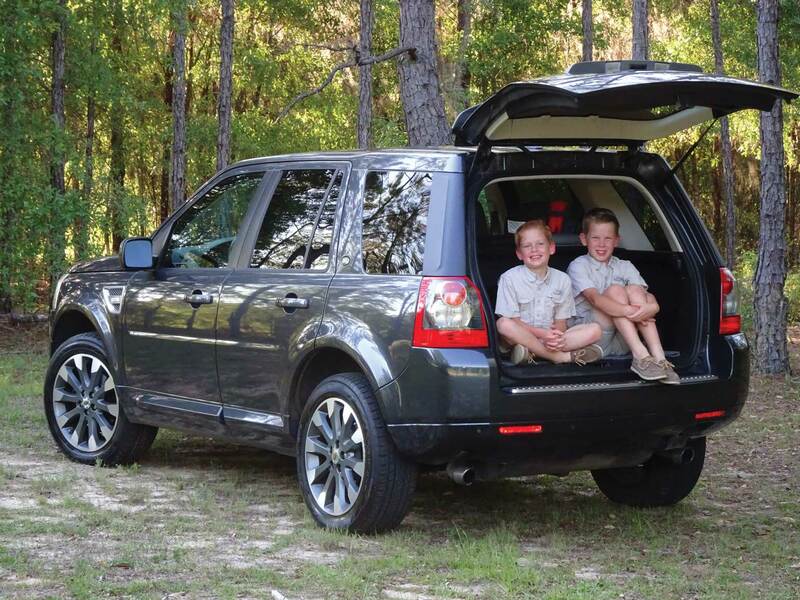 Club members, including Joshua Todd, Daphne, AL, David Minchew, Mobile, each in their kitted- out Discovery 1, clearly enjoyed the family-friendly event. Correspondent Alaina Poole, Anthony Poole and Jesse Jackson drove down from Birmingham, AL, in their Discoverys. Mike Sisson, Trussville, AL, is a Land Rover specialist with The Auto Shop and drove down in his ’08 “big box” Range Rover. Jack Nelson, Rosemary Beach, FL, brought his handsome G4 Discovery; he’d been a long-time Sales Guide at Land Rover Plano in Texas. 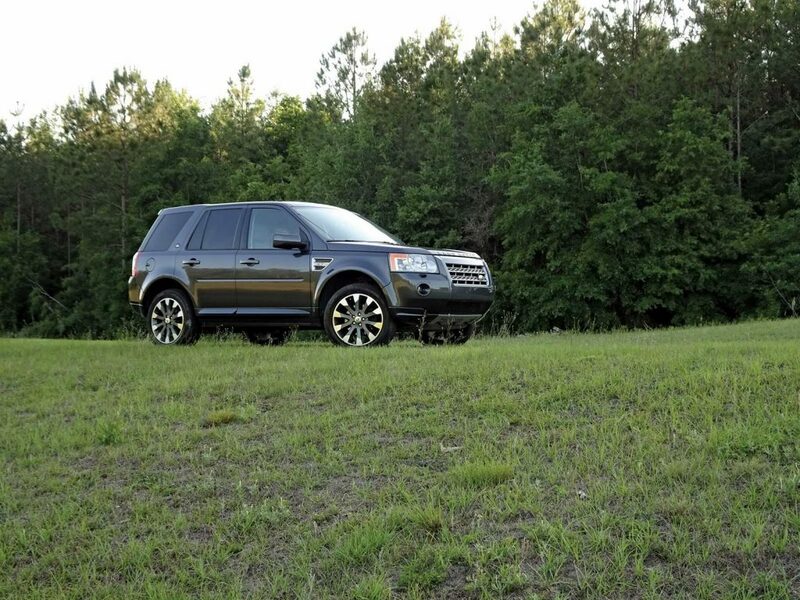 Jack Griffiths, Freeport, FL,, enjoyed the off-roading in his Discovery II. The 30-A region attracts new residents with its extraordinary coastal landscape and mild temperatures. As I prepared to leave that weekend, I met up with Discovery owner Lauren Duggar, who’d been unable to attend the event. Suddenly, a text cane from enthusiast Kevin Murphy, Ridgefield, CT. “Are you in Ft. Walton Beach? We just arrived for a vacation!” I had to travel 1,600 miles to meet up with a friend who lives only 350 miles away. Now, that’s a powerful beach vibe. At the Sand Rover Rally you couldn’t help but see the big smile on the guy sitting inside the Range Rover Evoque convertible with its top down, basking in the sun. 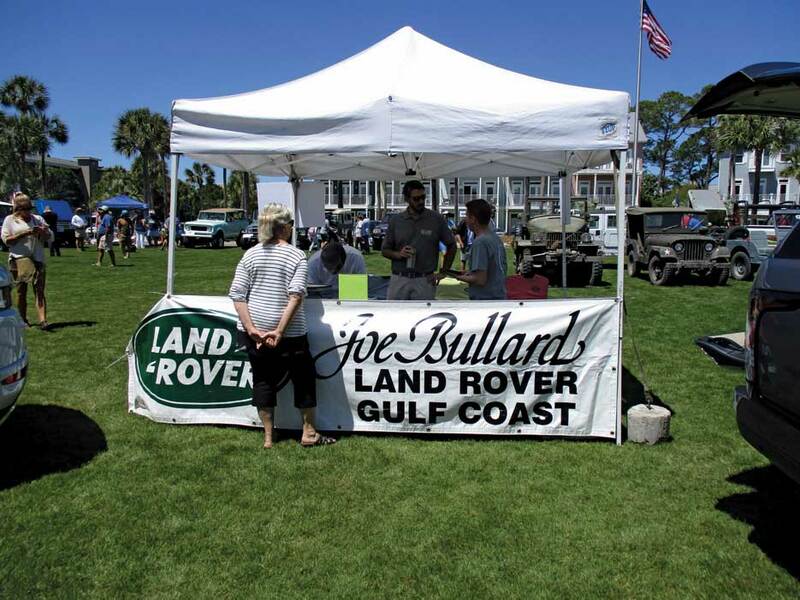 David Menaker, the Sales Director of Land Rover Gulf Coast, Mobile, AL, couldn’t help himself. David and his team had brought a new Discovery to run the trails and the Evoque convertible as part of their sponsor display at the Rally. 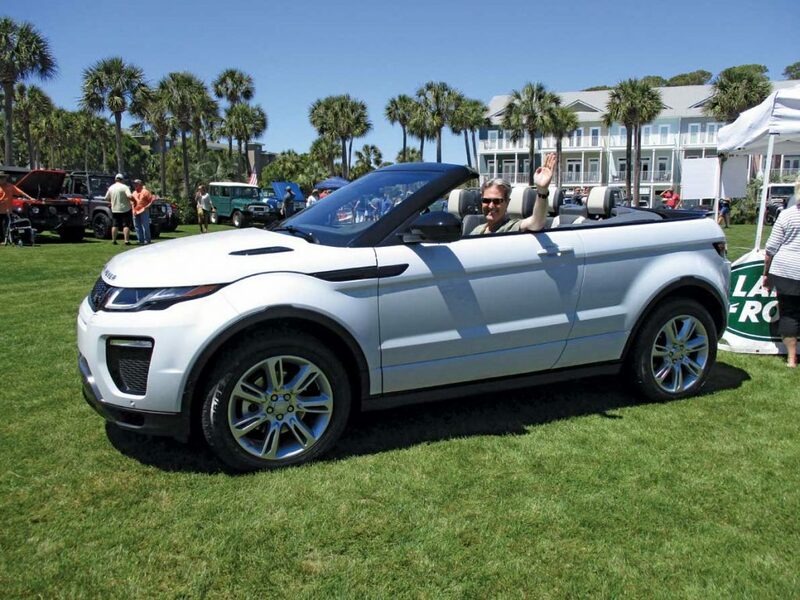 He owns a 2015 Evoque and said, “I love my Evoque.” He also knows the affection that enthusiasts of the heritage models retain for their favorite Land Rovers. 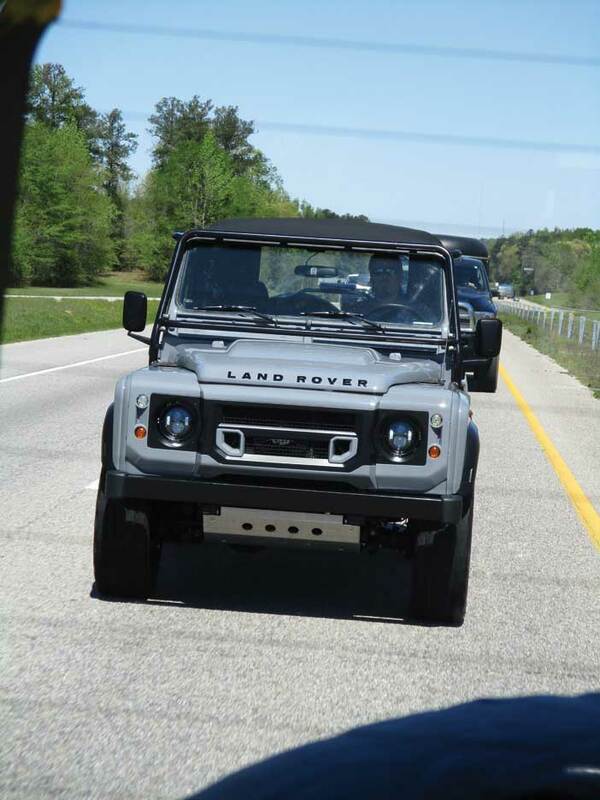 When David learned of the rollout of the LR4, “We set about searching every unsold LR4 in the South so we could meet the demand at our dealership.” With Land Rovers in hot demand, dealers spend a lot of time trading vehicles from their inventory, and the LR4 was in hot demand. Yet, it most assuredly tackles the world like a Land Rover, and it will become the price-conscious enthusiast’s model of choice a decade from now; given the demands for fuel economy its styling will be more accepted by then. “Land Rover does aluminum engineering very well, and enthusiasts will enjoy them just as much as they do their current generation of Land Rovers,” David predicted. Top Gear crowned it “SUV of The Year” upon its UK launch. 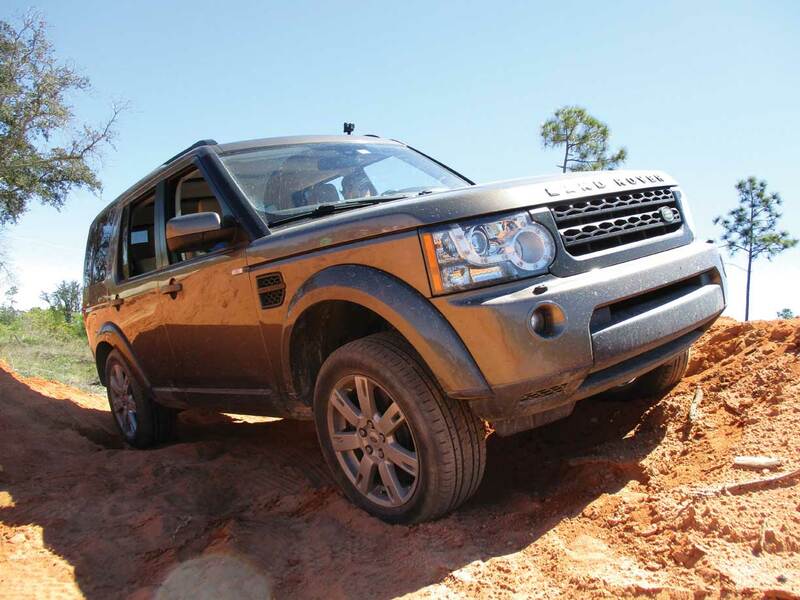 Car and Driver called it “a bona-fide Land Rover.” Were they right? At the 2017 Sand Rover Rally we set out to put our 2010 edition to the test. We left the hotel after a harried breakfast for the 12-mile drive to the off-road site. My wife and twin, year-old boys feverishly looked for other Land Rovers as we approached the trail ride meeting point. A mini-convoy of four Discoverys crossed our path about 100 yards ahead of our turn off the main highway and fueled more excitement. As we hit the gravel road into Point Washington State Forest, the sun shone through a crystal-clear blue sky pierced by the tall pines. My exterior temperature gauge read 62 degrees Fahrenheit — a perfect day. We rounded a bend to find a shallow water hole, maybe 10” deep in parts, the fruit of a downpour three days earlier. 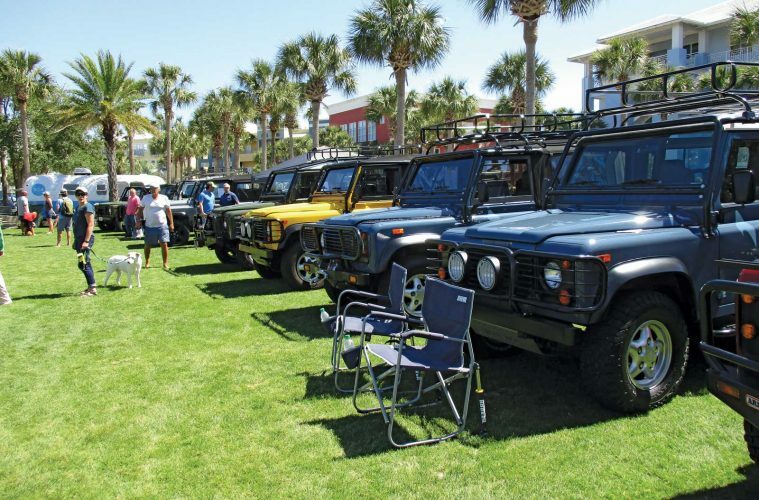 Just beyond, we met our reward — a huge crowd of enthusiasts and their Land Rovers, along with other “funky beach cruisers.” We quickly met up with friends in a Range Rover Classic, and after a safety briefing, we hit the trails. The west side of the forest offered plenty of trails that we essentially had to ourselves. The low scrub oak canopy through much of the forest reminded me of two of the LR2’s greatest assets — its compact size and nimble handling. Not only does it help in thick brush, it makes light work of negotiating tight parking lots and busy freeways. After rounding a bend, we came to the first of three mud holes that we would encounter on this trail. The first one presented no challenge other than the eardrum-piercing squeals of delight coming from my boys in the backseat. Watching my friend’s progress in the Rangie ahead of us told us that the second hole was a bit deeper, but we made it through without a hiccup. Challenges come in threes; the theme of increasingly deeper mud holes was proven when we reached the third. Worthy of an, “Oh, Daddy!” from the backseat, it readily appeared that we would need to make use of every inch of the LR2’s 19” wading depth to successfully cross. However, any off-road driver tends to be more courageous when someone is on deck to pull him out. With a “Keep Calm and Carry On” attitude, I got out and shackled our recovery strap to avoid having to don scuba gear to find our recovery point underwater, should things go badly. Getting back behind the wheel, I selected the “Mud and Ruts” setting on our Terrain Response Control, and we were off. With a bow wave that was admittedly more “Splash Wildly” than “Tread Lightly,” we hit the hole! With muddy water washing over the bonnet, kids screaming in the back, and my wife starting to employ the “What have you gotten me into?” look, the LR2 never stumbled. With some judicious use of the long throttle travel, we never lost momentum. The car simply amazed us. On the other side, we found our friends in the Classic, who had quickly reached a dead-end, turn-around loop, 30-yards past the hole. As we got out to check our vehicles and watched gallons of muddy water dripping from them, my friend exclaimed, “Now, that’s the Land Rover experience, right there!” We all agreed that the third hole had presented a sufficient “pucker factor” in the driver’s seat. Of course, the dead-end meant only one thing: we had to go right back through the hole. For some reason, I was a bit more nervous the second time. Wisdom is often knowing when you’ve been lucky in the past. However, I appreciated that we hadn’t merely been lucky on the first go-round and, frankly, we didn’t need luck on the second. Instead of luck, we had a Land Rover. After conquering the hole again, we enjoyed another couple of hours of trail time in the LR2. Deep Florida “sugar sand” presented no problem upon selecting the “Sand” setting on the Terrain Response Control dial. 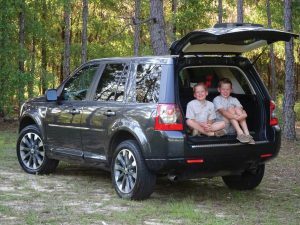 The LR2 met every challenge and surprised many folks. Indeed, confidence was so high and the vehicle so capable that the only thing that did us in was lunchtime hunger. 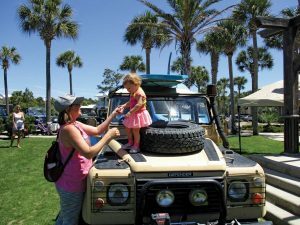 Upon heading to the rally point at the beautiful Beach Place complex, we were greeted by well over a hundred other Land Rover fans of all ages and many stunning (read “expensive”) vehicles that chose to stay clean, as well as the dozens of us who chose to get dirty. For me, I know I’ll choose to “play dirty” in the LR2 every time.